When Prope revealed Let's Tap to the world everyone though it would be yet another gimmicky Wii motion-based mini-game collection -- which it was, although a pretty good one. 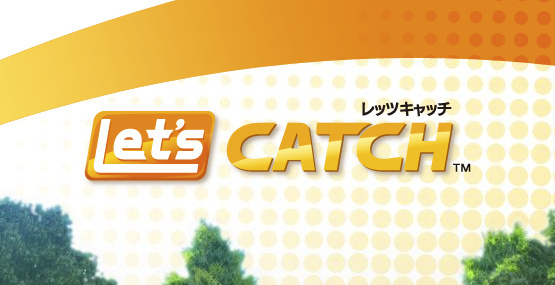 After that turned out surprisingly well, expectations of Let's Catch were a bit mixed: playing catch on your Wii sounds a bit goofy, but could it be a hidden gem like Let's Tap? Well, let's put anticipation aside and just say that the idea is as lame in its execution as it is in its description. The idea behind Let's Catch embodies one of the most negative stereotypes about video games: that of staying inside rather than taking part in physical activity outdoors. 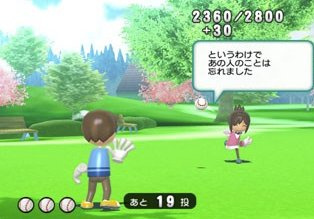 Here you're playing a game of catch with a character on your TV -- it doesn't get much sadder than that. Surprisingly the game's mechanics aren't half bad due to some decent motion controls. To throw the ball all you do is squeeze and together and motion like you're throwing the ball. Your actions are read with a decent amount of accuracy and you can throw high or low, although using button release to control the timing of the throw would have made this even better. To catch you simply wait for the ball to get near your floating hands (your avatar has the same arm deficiency as Ubisoft platformer Rayman) and then press and to catch. Catches for both players are scored depending on the timing of the catch which is rated Bad, Good or Perfect and obviously also relates to how well the ball was thrown. Despite this basic core activity there are six different game modes -- though really there's only three since half the games are the basic game of catch described above with slight tweaks. You have the single-player Story Mode where you're trying to unlock new CPU characters to play catch with by scoring points with the game continuing until you or your partner have missed five balls. 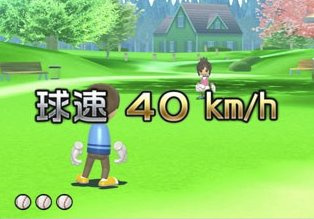 In the other single-player game, Speed Catch, you're trying to catch balls thrown with increasing speed: you can miss up to three and the backdrop and pitcher changes as the ball speed gets faster and faster. Score Attack and Free Play Modes can be played with one or two players (vertical split-screen is used for two-player games). These are the same as Story Mode but you only get to miss the ball three times in Score Attack and Free Play has no limit -- play catch until your arm falls off! The final two modes are for 1-4 players and are the biggest departure from the core game. In one you're placed side-by-side with other players and are competing to be the first to hit all nine numbered targets on a grid. This is one of the most broken games we've ever played. Not only isn't there any real way to aim your throw, but even catching the ball when it's launched at you between throws is nigh impossible. You'll spend more time watching your character running off screen to retrieve the missed ball than actually trying in vain to hit the targets! 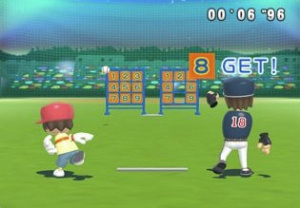 Given the difficulty in hitting the targets it's more likely you'll turn the game off after spending several minutes watching your Miis running off screen to retrieve missed balls, throw and hit the same empty space and repeating until you feel you and your friends have been sucked into a temporal causality loop. The other multi-player game sees you pitching a bomb back-and-forth like a game of "hot potato." Each time the bomb is caught the bomb's fuse is reduced from a starting number of 10 depending on the quality of your catch. The only way the fuse stays the same is to make a perfect catch. If you miss you get blown up and lose one of three lives; otherwise the bomb goes off when a player receives it as the fuse hits 0. As a single-player game this works okay because the camera is locked in first person and stays with the player. In multi-player this works badly because the camera changes just prior to the next player receiving the bomb providing almost no reaction time for catching it. Why split-screen wasn't used here is a mystery, but it makes the game all but unplayable for more than one player. The core catch game isn't actually that bad and can be relaxing in a non-competitive way (joint scores are recorded in a local leaderboard, so you could have family/friend pairs competing with each other to be the best catching team). The single player Speed Catch Mode is decent and the bomb toss can be fun as a single player game. The biggest problem is that the core concept just isn't that interesting and having to watch yourself chase after missed balls (apparently in the interest of "realism") whilst your virtual catch partner shakes their head wondering why you paid 1000 points for this, doesn't help. Playing a virtual game of catch isn't really the same as playing a virtual game of baseball or bowling, and the ridiculous price isn't made more justified by the inclusion of a catchy guitar soundtrack or cute character design. Let's Catch is a misguided attempt at brand-building. Whilst Let's Tap was a creative use of Wii Motion controls, Let's Catch just feels empty and isn't aided by including decidedly broken multi-player modes. The core game wouldn't be bad as part of a larger sports game collection, but on its own it's grossly overpriced -- even the lure of unlocking extra content in Let's Tap isn't enough to justify spending 1000pts. on this lacklustre release. Sounds like it is DOUBLE the price it should be. Would you have rated it at a 5 or 6 at 500 points? Let's Tap is a decent game, why didn't they just include this as an unlockable in THAT package? I know its nothing to do with tapping, but still. They perhaps should've done a dodgeball style game instead of a catch game, slaightly more interesting. Why have ONM and N-gamer given it sound reviews of around 70%?